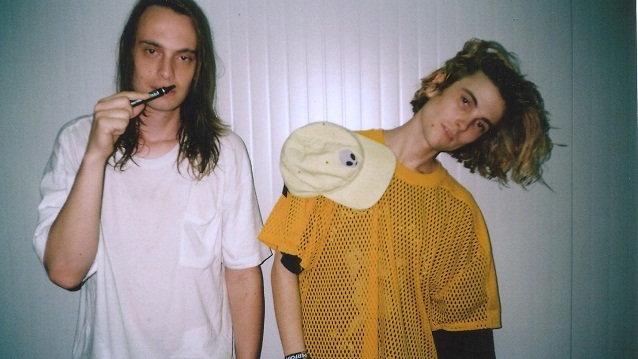 The band which began as Beach Fossils’ Zachary Cole Smith side project, DIIV , is the new #1 in our loop with their recent single ‘Dopamine’. Erykah Badu‘s surprise comeback covering one of Drake ‘s latest smashes is this week’s highest entry, followed by another avalanche of new songs with the latest by WOKE, a new supergroup formed by Flying Lotus; Thundercat & Shabazz Palaces who debut in style collaborating with funk master George Clinton; The Chills; Miles From Kinshasa; Dënver; Arca; Dawn; Fetty Wap; Isaiah Rahad; DJ Paypal; Sophie; Jeff Lynne; Robyn teaming up with a member of METRONOMY under the alias Tony Primo & Nixxie for an Aussie soundtrack and another collaboration, Los Pilotos & La Bien Querida, in one of the standout moments from a tribute album to Spanish pop starlette Jeanette. This entry was posted on October 5, 2015, 9:33 pm and is filed under POP CULTURE & NEWS, POP CULTURE & NEWS. You can follow any responses to this entry through RSS 2.0. You can skip to the end and leave a response. Pinging is currently not allowed.